Having settled into my new studio at 55 Washington Street in DUMBO, I’ve started a batch of new work, none of which is ready to share yet. Moving from sublet to sublet for the past five years, I’ve come to expect a few unproductive weeks every time I move into a new space, though often that uncertain transient feeling has eventually borne fruit in my work. Now that I have signed a three-year lease (thanks to the Two Trees Cultural Space Subsidy Program), the relative stability will inevitably affect my art practice. The biggest change so far has been that I’ve decided to use stretched canvases for the large-scale paintings. 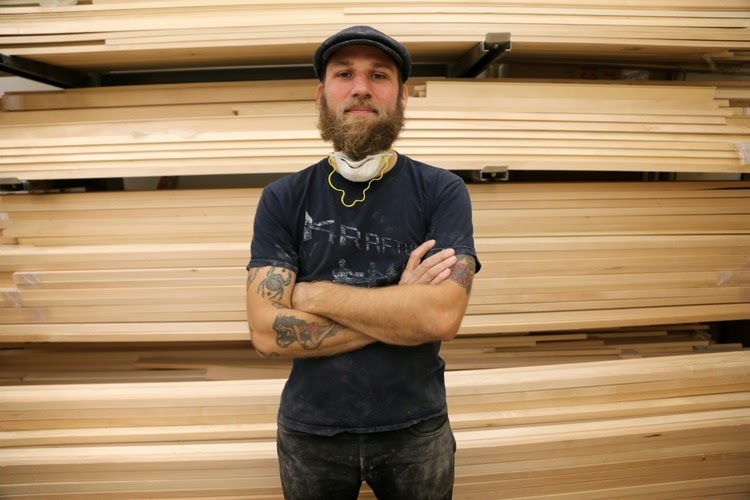 As luck would have it, Jared Preston – woodworker, art handler, all–around studio assistant and nice guy – has opened a new stretcher-building company, Preston Hand Built, at 20 Jay Street, not too far from my studio. 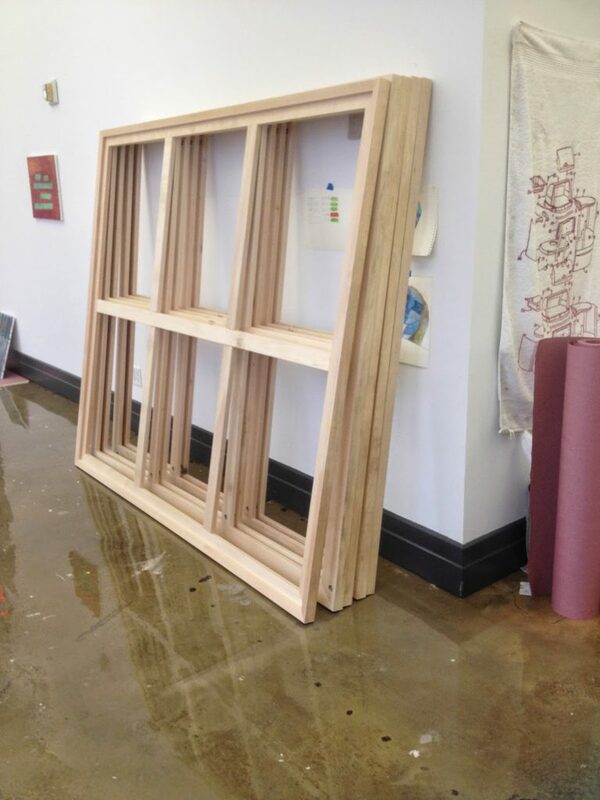 Last week he delivered five stretchers (pictured at top) made from kiln-dried basswood. Most of Preston’s stretcher bars (and trainers, too) use a two-part construction with meshed-tooth joinery that ensures dimensional stability, and he uses a ingenious fastening system that holds miter joints tight when expanded without those little wood keys. If you need stretchers, I highly recommend him. Stay tuned for images of new paintings in the near. looks like a very exciting and big change…in all ways!